Dako't Layag | Here lies the wanderings of a restless mind, and the adventures of a sovereign soul. Here lies the wanderings of a restless mind, and the adventures of a sovereign soul. Posted on July 24, 2014 by Veronica A. 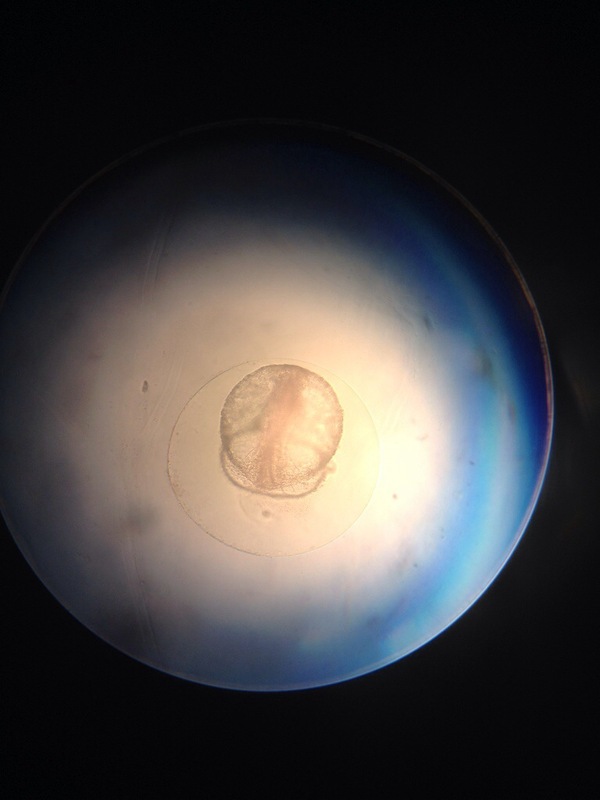 Posted on June 15, 2014 by Veronica A.
I am only nearing the end of my first week as a Marine Biologist at the Manila Ocean Park and things just keep getting more and more exciting. 🙂 The vet lab has been given a new breath of life and there’s just so much more coming. 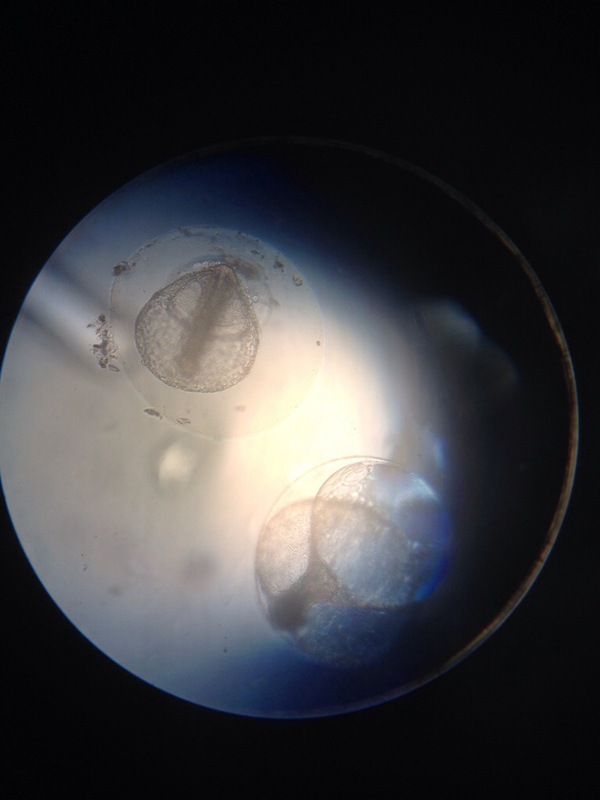 Any wild guesses on what they are? Posted on June 3, 2014 by Veronica A. 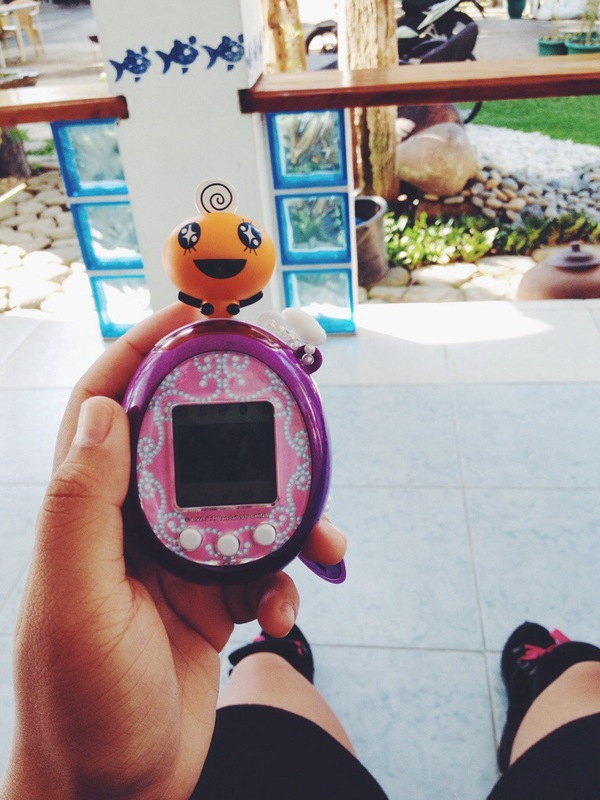 So I found this old tamagotchi of mine a few weeks ago. It has been my thing to get a tamagotchi every now and then for reasons unknown to me back then. But today, as I was looking at this little pink egg shaped gadget in my hand at 7 in the morning waiting for everyone to be ready for a trip to Tagaytay, I received the enlightenment I have been waiting for all along. In the Information Age, it is undeniable that most of us bipeds have grown too attached to the internet. The free flow of data, faces, online friends, and all the sorts at the tap of a finger has left us quite vulnerable to a disease called boredom. On a long journey sitting inside the car, with the hot equator sun and all your companions sleeping except for the driver, I was indeed too prone to it today. And hallelujah, thank you, for the existence of the talented group of people who created that little egg pet thing, the people brought Toy Kingdom within my reach, manong driver for brining me to MOA and mother dear for the cash, in my hand is a well packaged quick remedy, the Tamagotchi. Who won’t just love that egg shaped body with only three buttons to press?That brilliant congregation of grey pixels and the little chain to slip your fingers in or attach your keys? Who wouldn’t love the fact that you have a tiny virtual animal you can take care of and play without getting your hands dirty and your nose crinkly when it decides to create a giant mess. No barking, no furniture or shoes gnawed, no trips to the vet, no fur on the couch, and it’s so so cute! It does not need internet and to be charged every single day like everyone’s phone. Now tell me, how awesome is that? Hah! Okay, I guess that’s enough. I’m just sharing all the good vibes from my decision to revive this little toy of mine from yeaaaars ago coz I’m definitely loving it. Haha! Is yours still alive today? Posted on May 19, 2014 by Veronica A. Why hello, hello, here’s me and my little ukulele, Pipi, with a short cover of Vance Joy’s Riptide. I do hope that you enjoy my version of the song and hit me up for any comments, questions, cover requests or violent reactions. Posted on April 19, 2014 by Veronica A.
It’s Easter break, maybe summer/winter hols on some parts of the world, or maybe you’re just fed up with your crappy job and want to drive away from all things nasty. well here’s a little list of my favourite road trip songs to spice up your holiday playlist. Enjoy! This video is hilarious! Enjoy! Posted on April 6, 2014 by Veronica A. 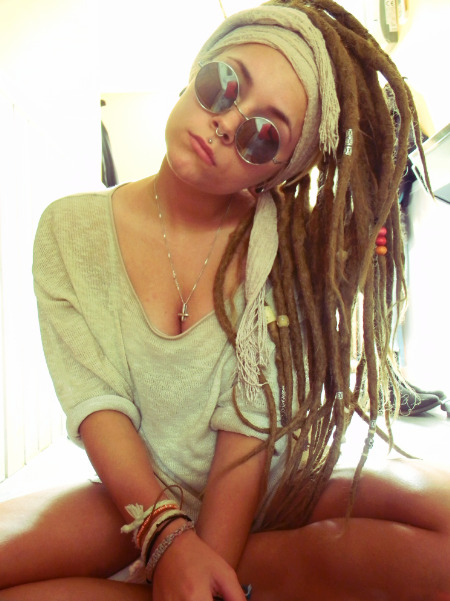 As a woman, having dreadlocks could be very difficult in terms of a social setting. In my experience, I have had many sexist comments about having them, especially from my family. 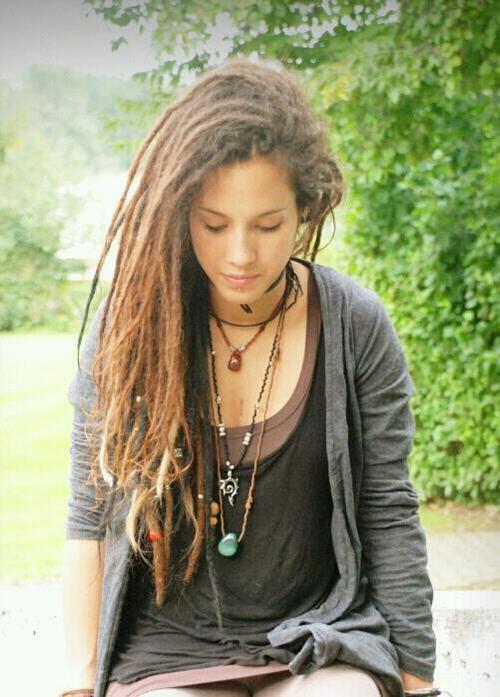 Many people in my country think that dreadlocks is a definite no no, and only men are fit to wear them. 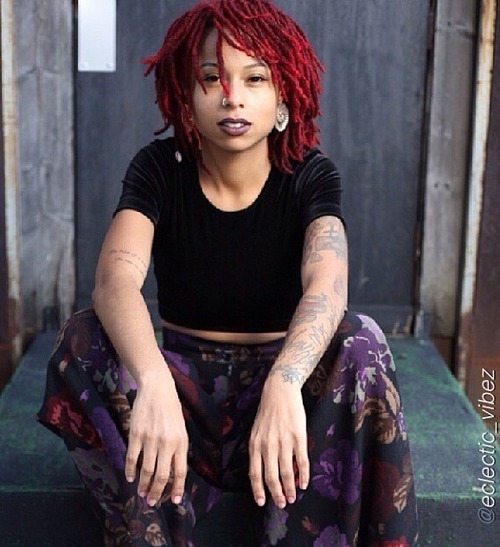 So I decided to put together a series of photos of amazing women with gorgeous dreads to show them that us women, too, can definitely pull off this daring hair style. 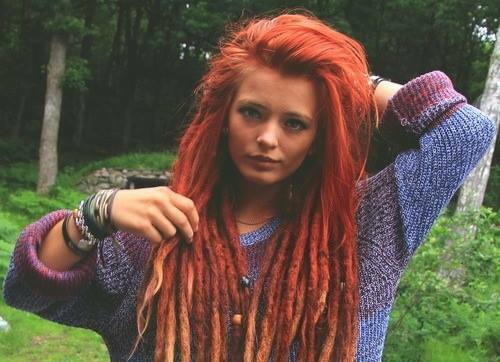 With this post, I’d also like to encourage people to try having dreadlocks at least once in their lifetime, even for just a little while. 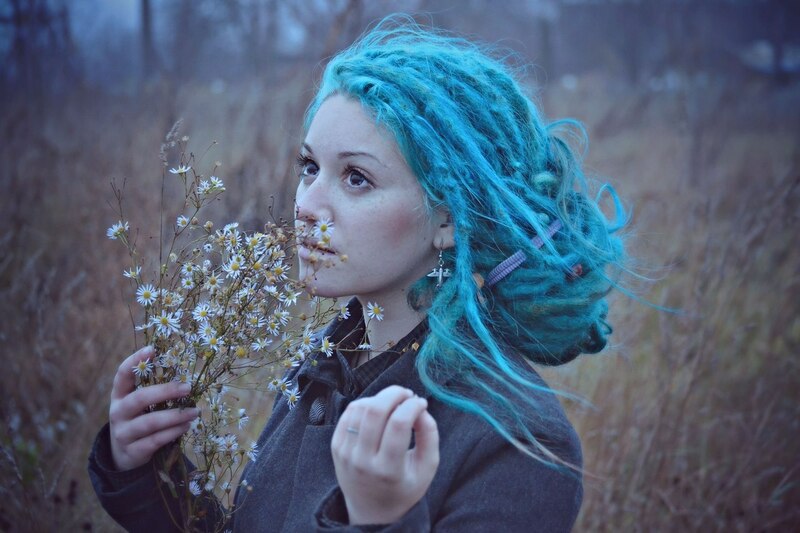 From my many other hairstyles, colours and trinkets in the past, having dreadlocks is so far the most fun I have had with my hair. Anyway, on with the photos and I hope you enjoy them as much as I do. 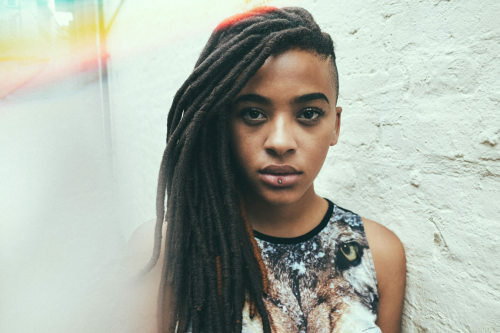 These are just some of my favourite photos of ladies with dreadlocks and I bet you’ll find heaps more from this massive virtual ocean of codes. Bonus: This lovely one may not be a woman yet. 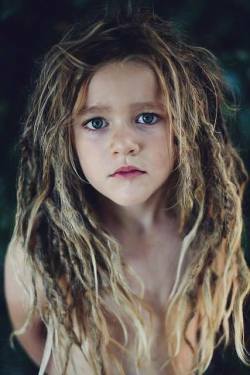 Also, I am not even entirely sure if he/she’s a girl, but damn does this little one look great with dreads? 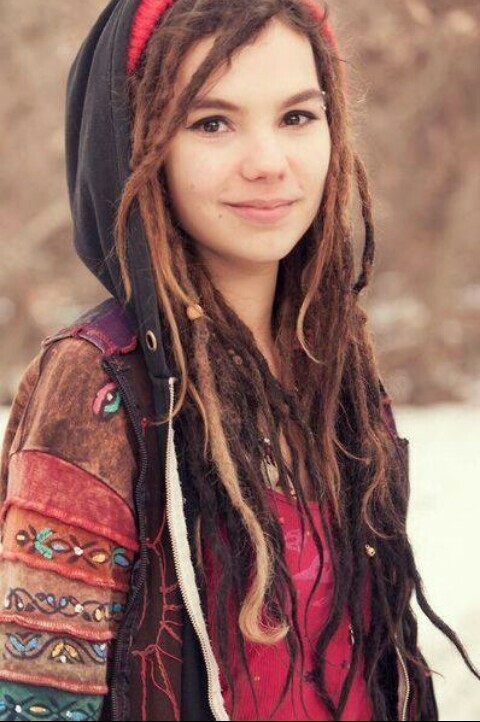 If you’d like to learn more about dreadlocks, be sure to check this page out: http://dreadlockinfo.com/ They’ve got amazing photos as well as respond quickly to your questions. Disclaimer: Links may not be the main source of these photos as they have been re-blogged numerous times by numerous people in various sites already. Cheers! Posted on March 31, 2014 by Veronica A. The Philippines is definitely one of the most blessed when it comes to natural resources. Our beaches, wide and white; our islands, numerous and unique; the biodiversity, rich and ever flourishing. It is definitely worth it to look past the corrupt and collapsing government, and enjoy the sunshine and perfect tropical conditions in the Philippines. With at least 7, 107 islands (actual count still depending on the tides) to explore, you’ll have enough to fill a lifetime of adventure. All thanks to these awesome folks from Free and Easy Traveller we have yet another awesome video with a quick list of best travel destinations in the Philippines. Anywhere else you’d like to add to this list? Posted on March 30, 2014 by Veronica A.
Phnom Penh, is the largest and capital city of Cambodia bordered by the Tonle Sap, Mekong and Bassac rivers. It is the most populated city and the heart of the country’s business and political buzz. The city still exhibits remnants of French colonization reflected by the surviving French colonial buildings all around the metropolitan. 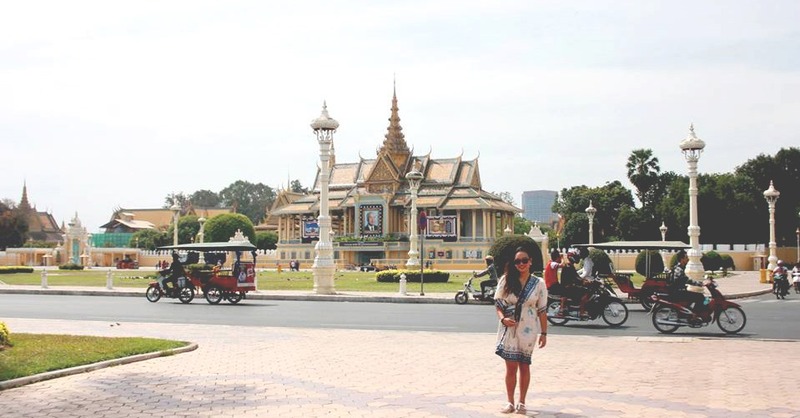 Seeing Phnom Penh was definitely a treat, and here I share with you things that are guaranteed to make your stay in Cambodia more unforgettable. Wherever country you may end up in, RESPECT for the locals is definitely a must. The Khmer are a very loving, hospitable and happy people, and as long as you don’t try to be an a** to them then they will stay accommodating and helpful as ever. 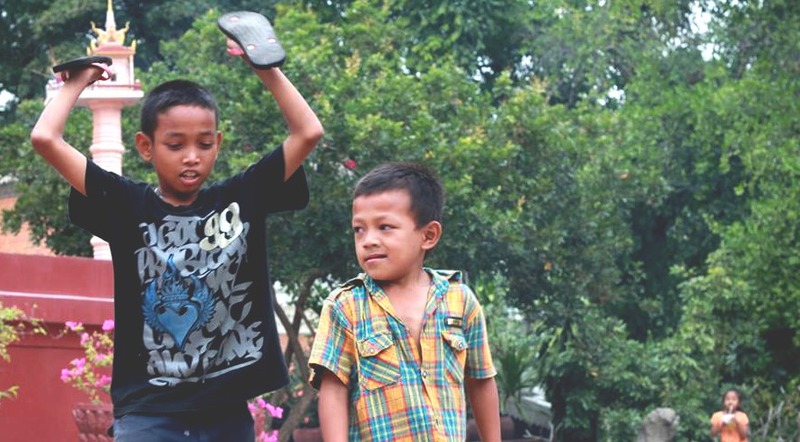 Address them as “Brother” or “Sister” when having a conversation, or haggling for tuktuk fares or items, it is sure to please them and soften them even more. 2. Change your currencies to US dollars. It is the most convenient way to pay for everything in Cambodia. Every stall accepts USDs so make sure to carry around them $1 notes. Although expect some local currency (KHR) for the change. 3. Visit Tuol Sleng (Genocide Museum – Former Office S.21) first before heading down to The Killing Fields (The Choeung Ek Genocidal Center). 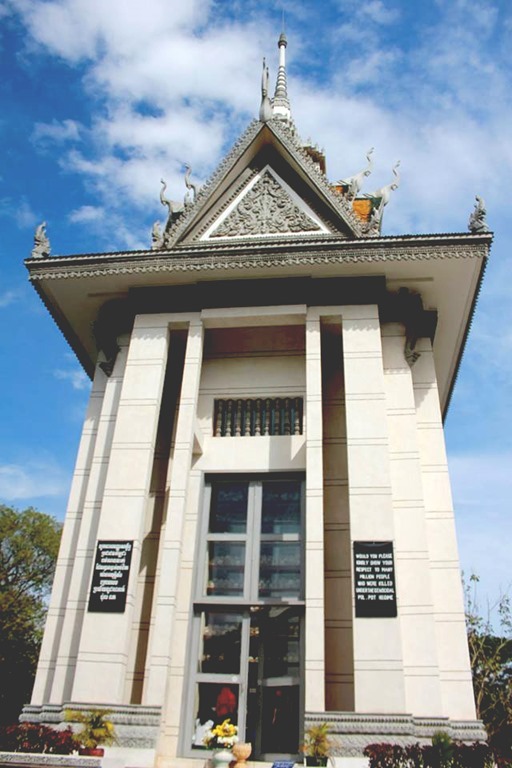 Before visiting these places, I recommend that you briefly read up on Pol Pot and the Khmer Rouge as it would help you further understand the significance of these sites. 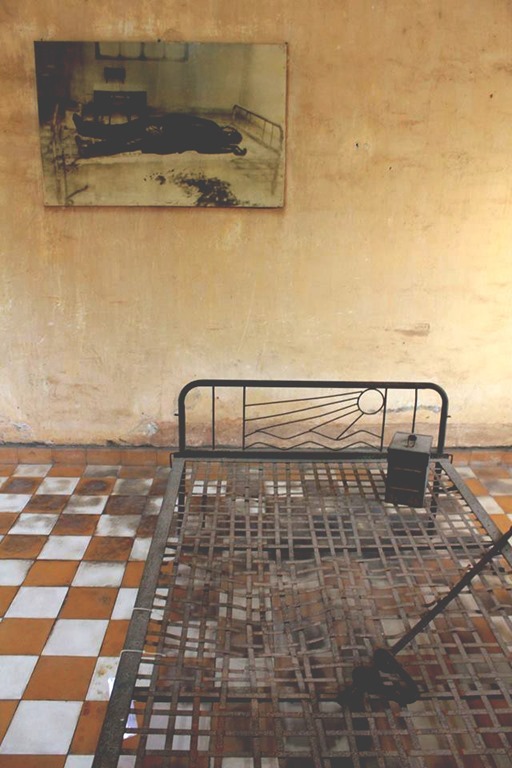 Make Tuol Sleng your first stop to follow a more chronological themed trip. 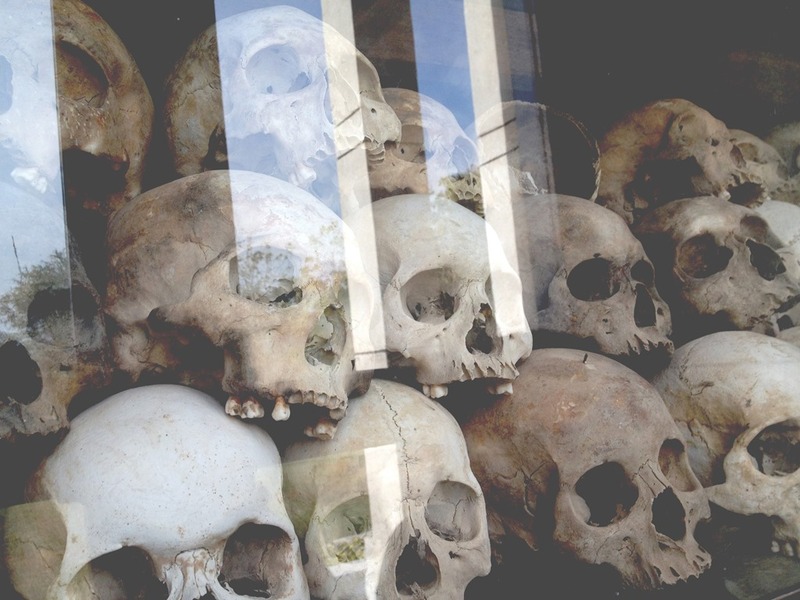 Tuol Sleng was where Pol Pot’s subjects were imprisoned and/or tortured before being sent to Choeung Ek for execution. Check for the guided tour schedules or survivor talks, too. 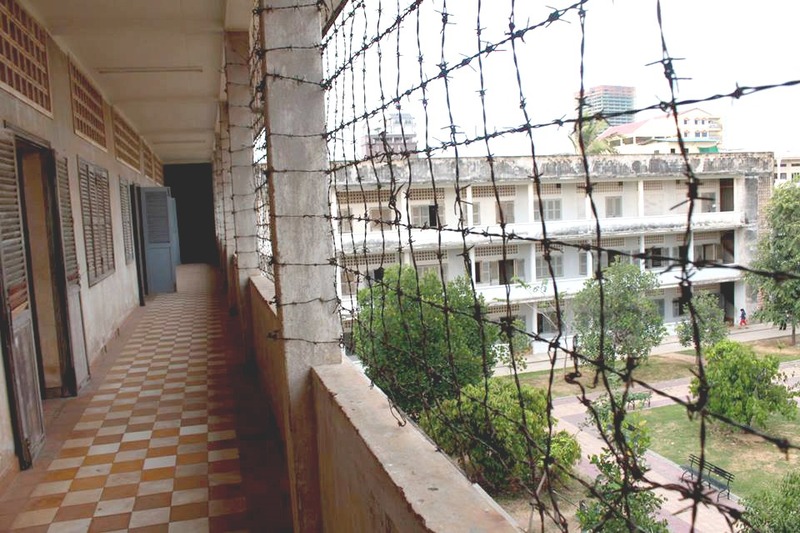 As a word of caution, Tuol Sleng is definitely not for the faint of heart. There is a very different and heavy energy in every room/cell, so I’d suggest skip this if you’re claustrophobic or have heart or blood pressure problems. The Killing Fields offers a much different atmosphere. Although, the drive there will be very dusty and hot so bring heaps of water and a face mask. You will be given an audio tour set from the entrance so you’ll learn a lot from this place. There will be children begging at one point of the track but you know the drill, opt to give them food rather than money. 4. Shop and have dinner at the Weekend Night Markets. 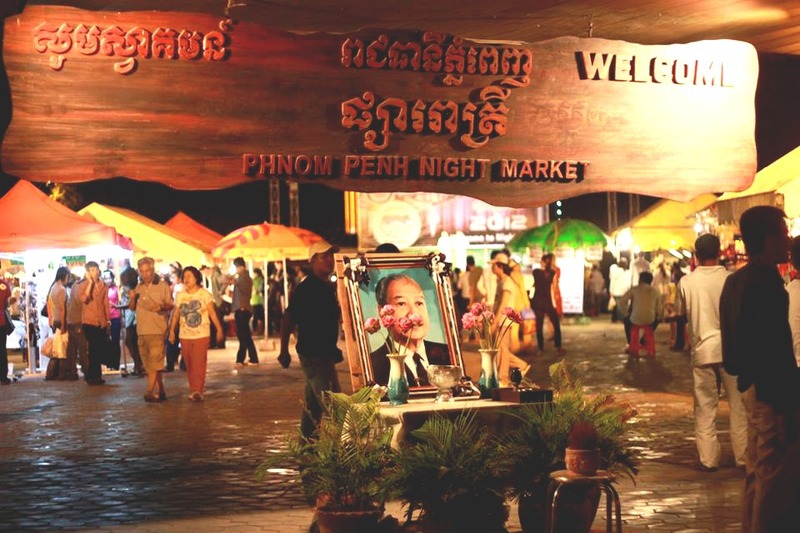 Make sure you hit Phnom Penh right on time with the Weekend Night Markets. Haggle at the shops, watch the live performances from the locals and grab some cheap munchies from the food stalls. Don’t expect to see any tables or chairs for dining, the big matts in the middle of the food section is the very way to go. Your $5 will go a very long way for food, I promise. 5. Make new friends and grab a pint by the Mekong River during Happy Hour! Nothing beats 50c beer with new found friends. 6. Visit the Royal Palace. There’s no leaving Phnom Penh without having a good stroll around the country’s political heart, the Royal Palace. 7. Have some HAPPY PIZZA!!! The people are happy, their beer is happy, and of course, their pizza is happy! If you’re really up for a great high and a good night’s sleep, Happy Pizza must be ticked in your list. Just be careful not to carry valuables with you when you have some outside your hotel. Well there you go folks. That’s my list, what’s yours? 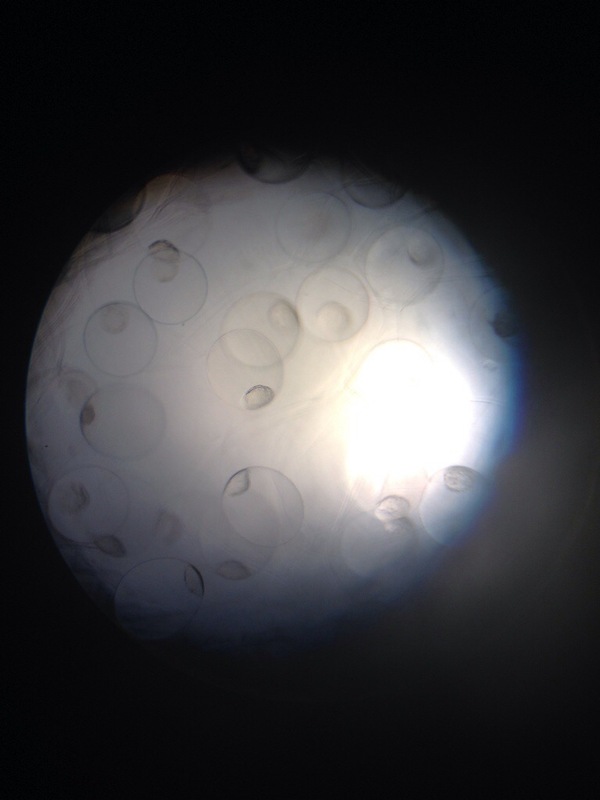 Durability of Black Ink: Where is my forever?